So what if we can’t handle the truth? We’d prefer to try our luck with the future Ms. G.I. Jane, anyway. Short-haired women don’t always raise our flags but Moore makes it work. 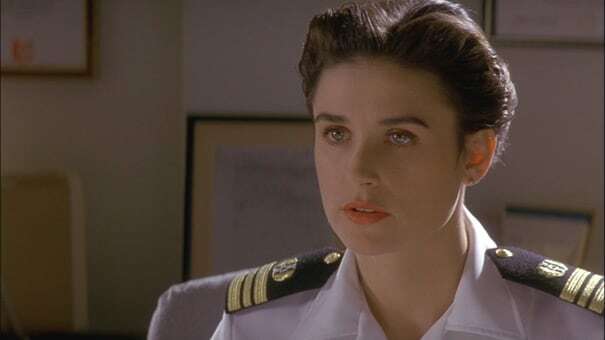 In A Few Good Men, she spends the bulk of the movie brooding and acting under high pressure. In every scene, she’s ready to blow off steam, but just can’t do it. We’d gladly unbutton the top of that highly-decorated white shirt and show her what R&R is all about.